Hi friends! 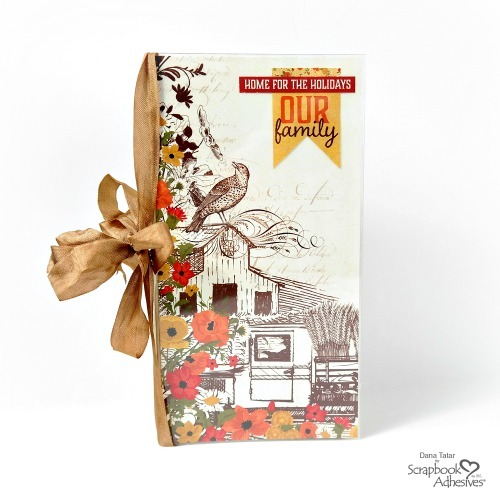 Dana Tatar here today sharing how to create a DIY Thanksgiving Traveler’s Notebook from scratch. I usually create a December Daily album to document the excitement of the Christmas season. I have never created anything special to store my memories from the Thanksgiving holiday. This will be my first Thanksgiving in my new home and my brother and his family are coming to stay with us. I am grateful for so many things and can’t wait to fill this notebook with memories. Cut several pieces of patterned paper to the desired size. (I cut the patterned paper shown above to measure 8.5 x 8.25 inches to fit inside my planner binder.) Fold each piece of patterned paper in half and crease down the center. Next, add several different sizes of Keepsake Envelopes between the pages. 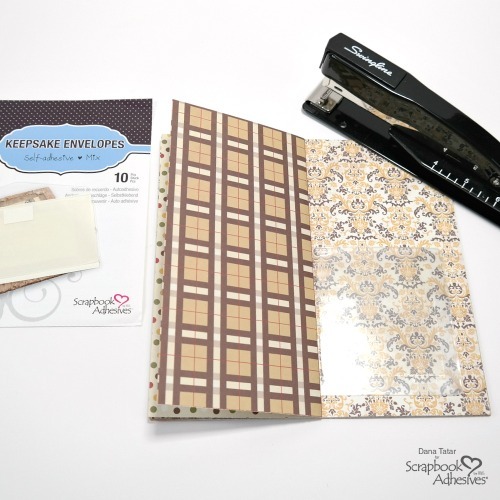 Stick two of the same sized Keepsake Envelopes back to back to create pocket pages. Once the paper and envelope pages are assembled, use a long arm stapler to fasten the insert together. Cut a piece of patterned paper to create a front cover for the notebook. The paper shown above measures 8 5/8 x 4 3/8 inches. Use an E-Z Dots® Permanent Refillable Dispenser to attach a couple of thin paper die-cuts to the front cover. 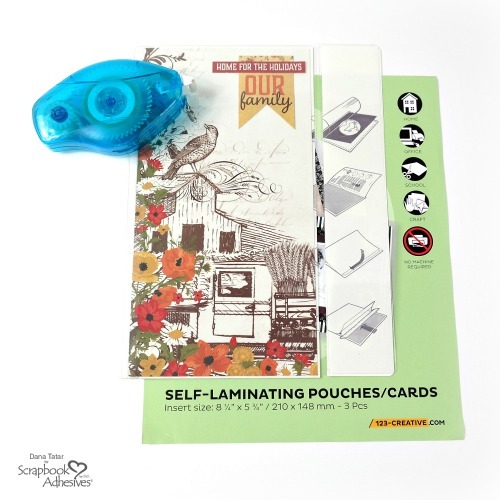 Next, insert the patterned paper into a Large Self-Laminating Pouch. Use a paper trimmer to remove the excess pouch. Peel away the liner from the back of the pouch and press together to seal the patterned paper. Designer’s Note: Whatever the size of your paper, be sure to leave about 1/4 inch of space between the edge of the paper and the edge of the pouch to ensure a proper seal. Repeat this process with a second piece of patterned paper and another Large Self-Laminating Pouch to create a back cover for the notebook. Score the front and back covers along the clear left edge of the pouch. Fold the edge of the front cover down, then fold the edge of the back cover up. 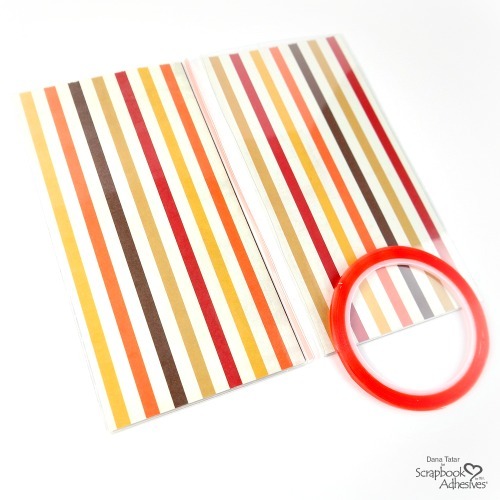 Apply a strip of 1/8 inch Extreme Double-Sided Tape along the folded edge of the front cover. Remove the red liner from the tape and press the folded edge of the back cover onto the tape. 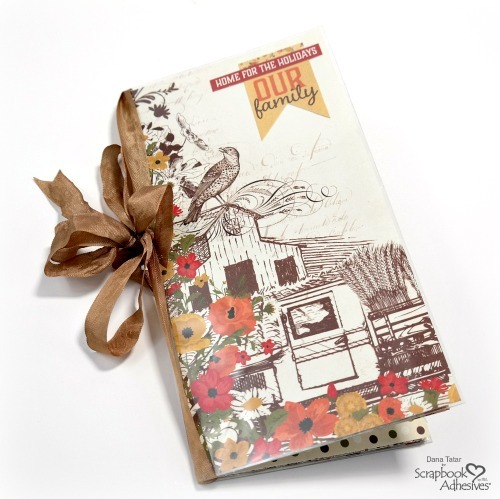 To finish, tie the insert to the notebook cover with a piece of decorative ribbon. Thanks so much for stopping by today! Happy crafting and Happy Thanksgiving! 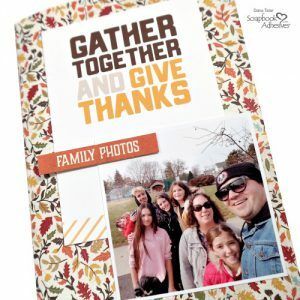 DIY Thanksgiving Traveler’s Notebook Part 2 – The finished project! This entry was posted in Adhesives, Crafts & Tutorials, Extreme Double-Sided Tapes, Fall, HomeHobby by 3L, Intermediate, Keepsake Envelopes, Mini Albums, Permanent Adhesive, Planners, Scrapbooking, Seasonal Craft Ideas, Self-Laminating Cards, Skill Level, Tutorial, Wear your Adhesive on the Outside and tagged Authentique Paper, Dana Tatar, E-Z Dots Permanent, E-Z Dots Permanent Refill, Extreme Double-Sided Tape 1/8", Fall, Journal, Keepsake Envelopes, Mini Album, Papercrafts, Planner, Scrapbooking, Self Laminating Pouch Large, Thanksgiving, Traveler's Notebook, Tutorial. Bookmark the permalink. ← Upcycle a Gift Box – It’s So Easy! 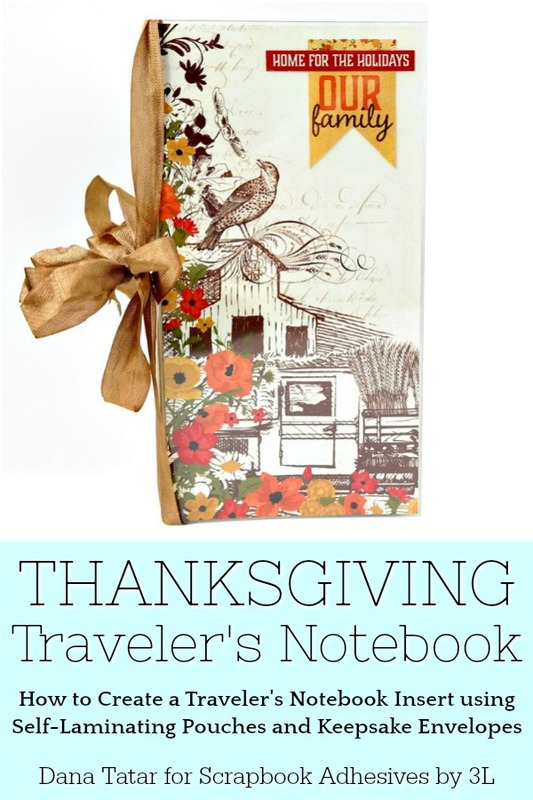 One Response to "DIY Thanksgiving Traveler’s Notebook"
This is GORGEOUS! I am LOVING the colors!!!!!!!!! !